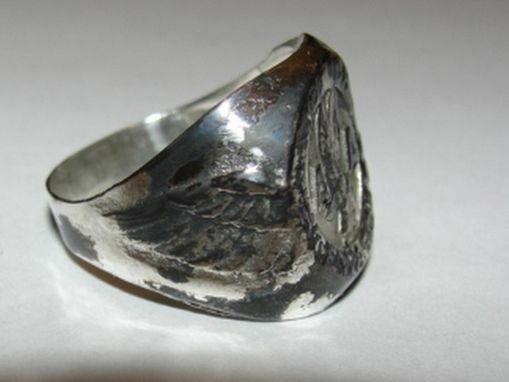 With Independance Day the 4th of July 2010, comes the debut of the beginning of my 8th collection of men's rings inspired by the 1940's and 1950's. Alot of these rings include themes from WWII, signet rings, pinky rings, intaglios, cameos, intials, and even popular sports of the time like bowling. 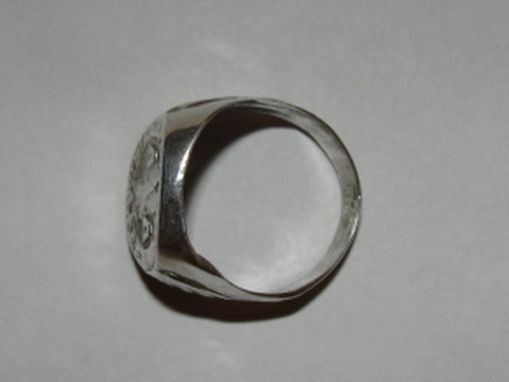 All of which I have antiqued and prefered them to look worn to death, simply because men used to own so few pieces and the jewelry that they did have had so much value that they would never take it off. 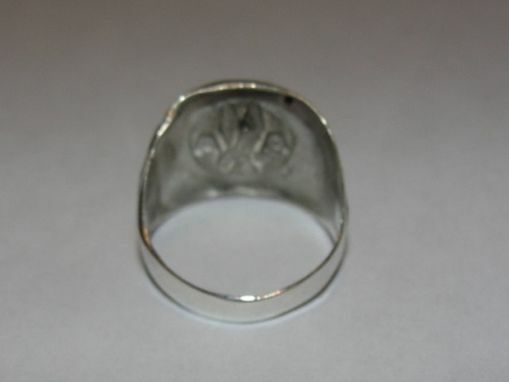 Now updated with women's rings as well! 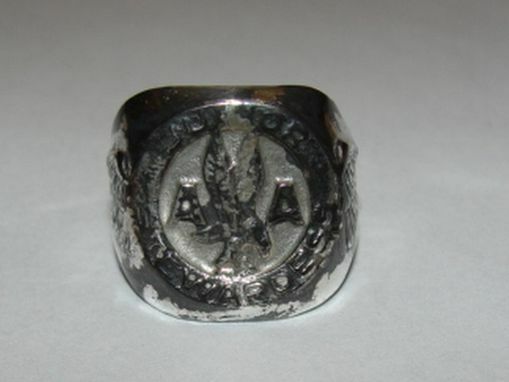 This sterling silver American Airline Junior Stewardess Ring was cast out of an old setting. The face measures is 14mm's by 14mm's features an eagle just like on the back of a one dollar bill, with an AA around it and the words Junior on top and on Stewardess around the base. 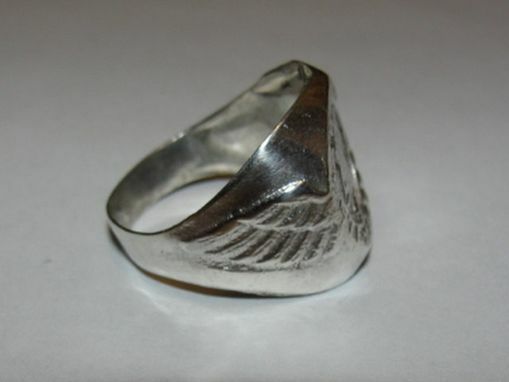 On the opposing sides of the ring are wings, as if they are holding the round face up.